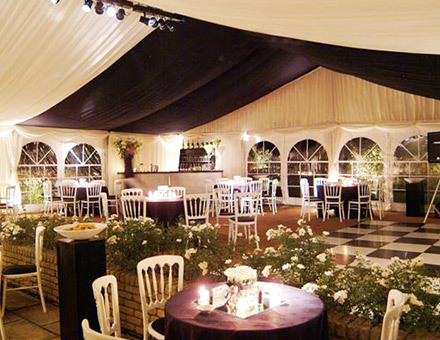 We here at Mr Mandap have set out a commitment to always go beyond what our customers expect of a marquee company. We are sure that we as individuals in this business will be able to compete when it comes to quality and also price. Along with our skilled, helpful, punctual and well briefed workforce, we will always be prompt and professional at times when it is most important. 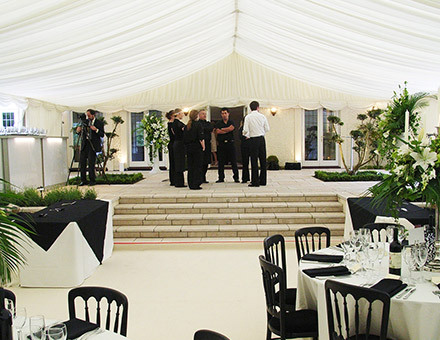 Mr Mandap has the vision to supply a high quality service along with high quality marquees. 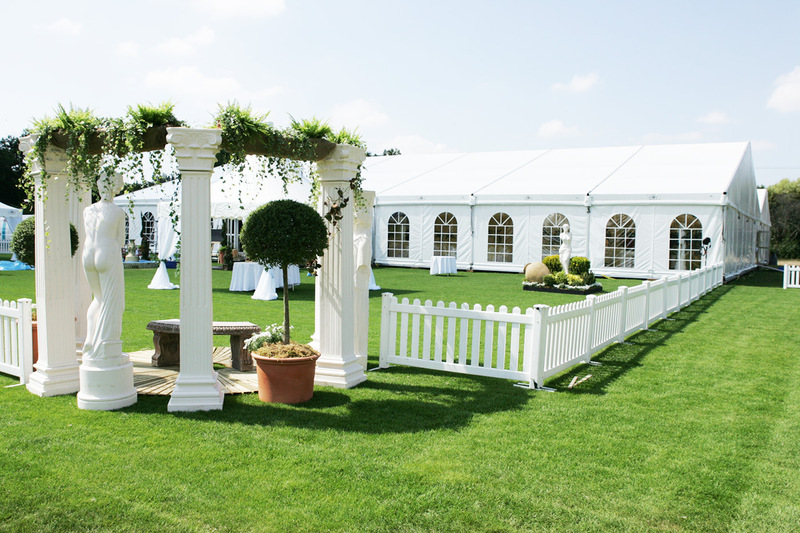 We pride ourselves with being specialists in providing marquees for parties and weddings as we truly believe that we understand what our clients need. 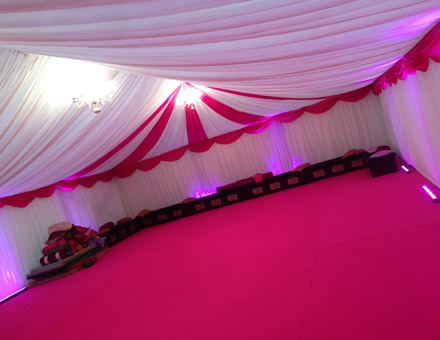 Asian Wedding Marquee Hires in London & Berkshire - We Can Give Your Wedding Celebrations a Unique Touch. The fun part about Asian weddings is that the celebrations are often a week long. This is typically because of the different rituals and customs of Hindu and Muslims weddings such as Choora, Sangeet, Mehndi, Nikkah, Mandap ceremony and Ghari Puja. All these events take place before the big day. These celebrations are either held at home or a selected venue. Since these celebrations are held back to back, it’s not easy to decorate and create a new setup for every ritual but nonetheless, it is important to do so. 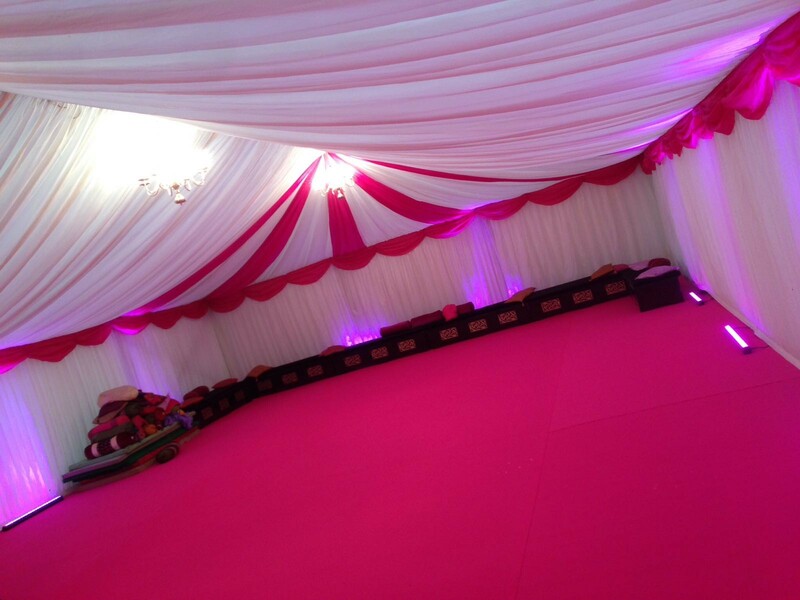 The most difficult and challenging aspect of creating a new setup for every ritual is the marquee setup and decoration. This is where we come into the picture. 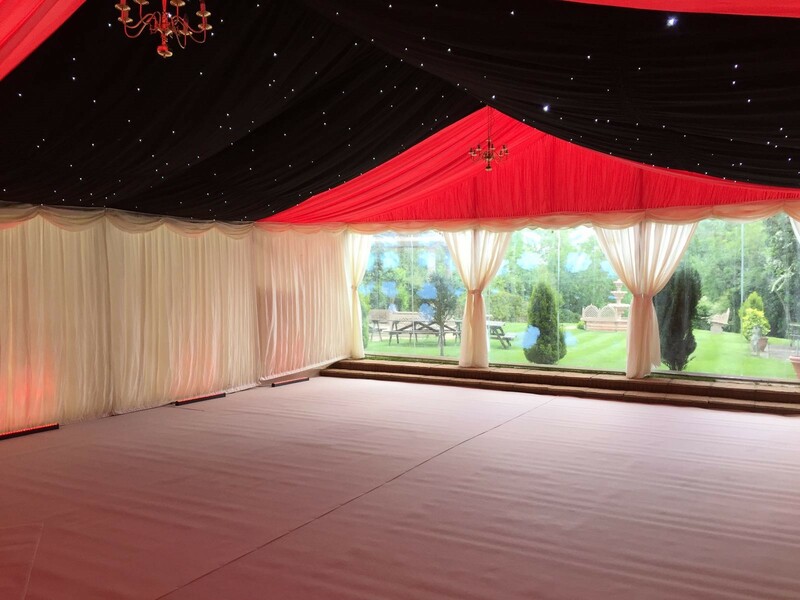 When it comes to Asian wedding marquees hires in London & Berkshire, Mr. Mandap is a top choice among the Asian community, including both Hindus and Muslims. 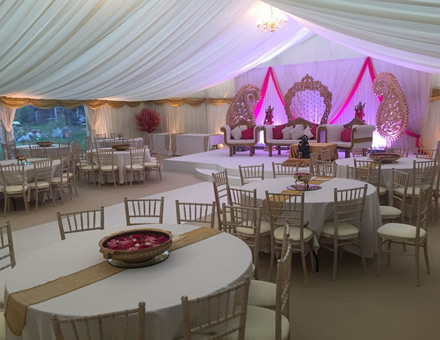 Besides being recognised for Mandap hire, we are also well-reputed and trusted for providing high quality wedding marquee hires and marquee decorations for weddings in the UK. 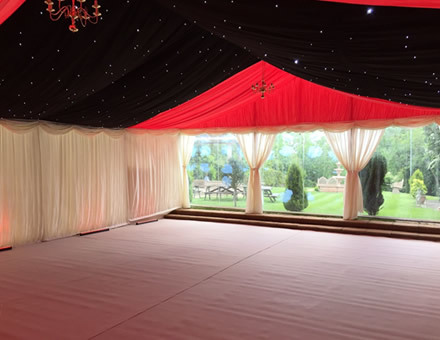 We can provide you with a gorgeous and high quality marquee, decorated uniquely according to your chosen ritual/celebration. 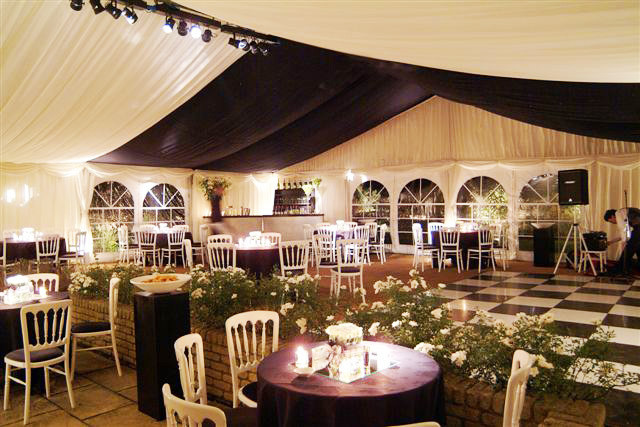 We specialise in all kinds of marquees including frame marquees and traditional marquees. 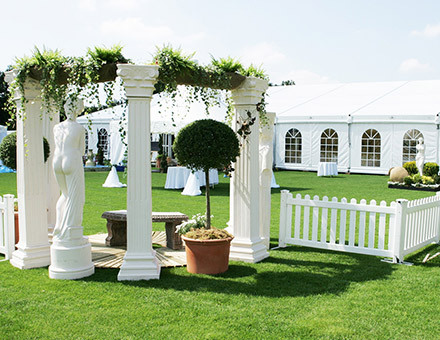 Whether you want to organise your event in a pretty garden setting, around a pool or near the beach, we can create a beautiful open style marquee with the loveliest and stunning backdrops. Unlike other wedding marquee hires, we work cohesively with you and strive to translate your ideas and wishes into a beautiful reality. 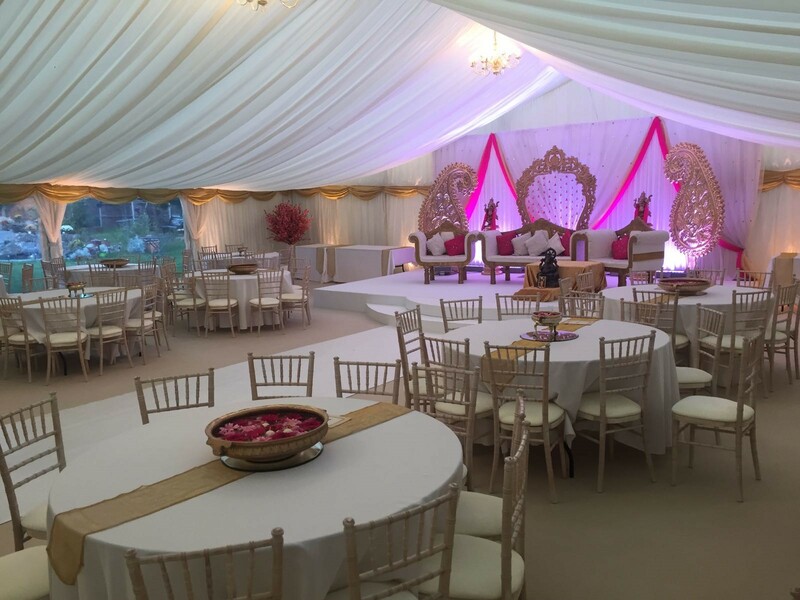 Along with providing the ease of Asian wedding marquee hire in London, we offer you everything from creative wedding marquee advice to detailed planning and assistance with setup and marquee decorations, ensuring that your venue is beautifully decorated. 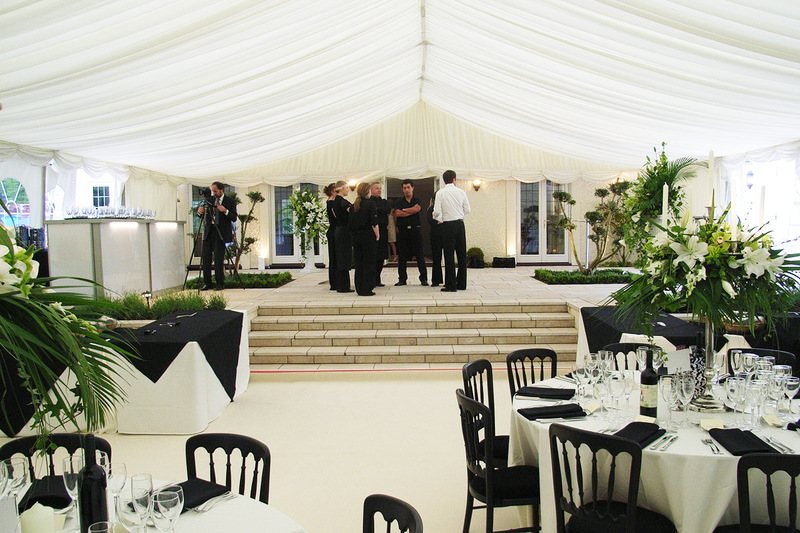 Our expertise in marquee decorations for weddings is second to none. 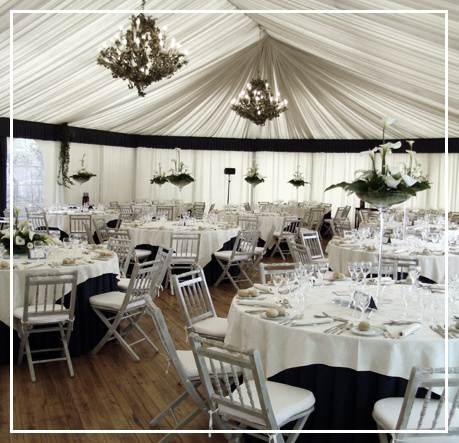 We have access to the largest and finest collection of marquee linings which can be set-up in different venues. 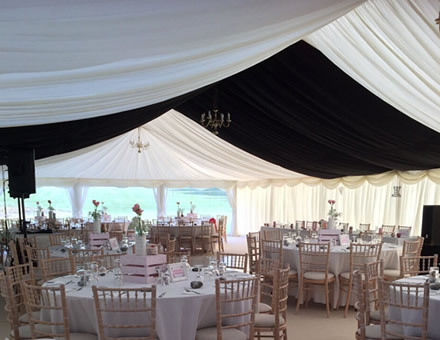 In addition to this, we can also decorate your desired marquee with buntings, floral work, lanterns, coloured fabrics and hanging decorations to complement your celebration theme. 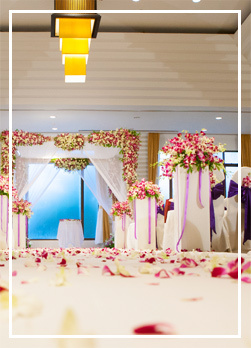 So whether you’re looking for mandap hire or Asian wedding marquee hire in London, get in touch with Mr. Mandap to discuss your wedding decoration needs and preferences. And we are confident that no matter how creative your imagination may be, we can help you transform it into a reality.